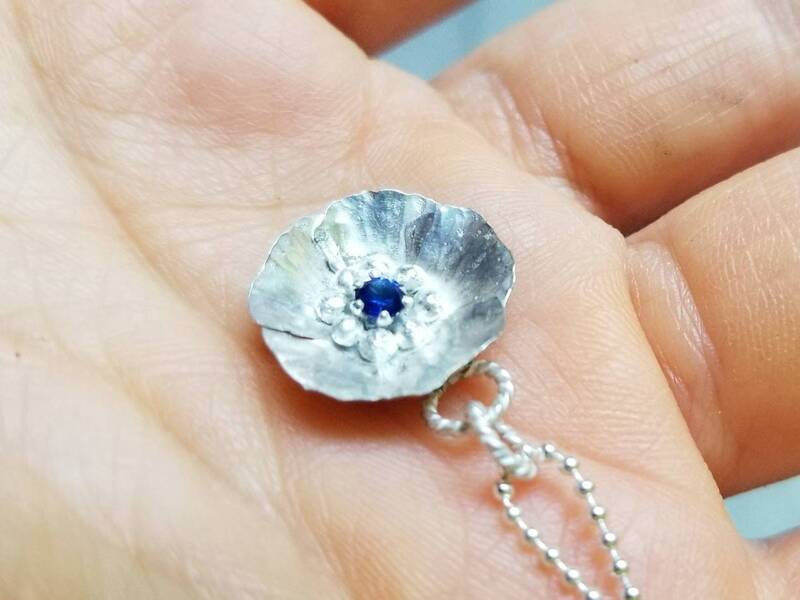 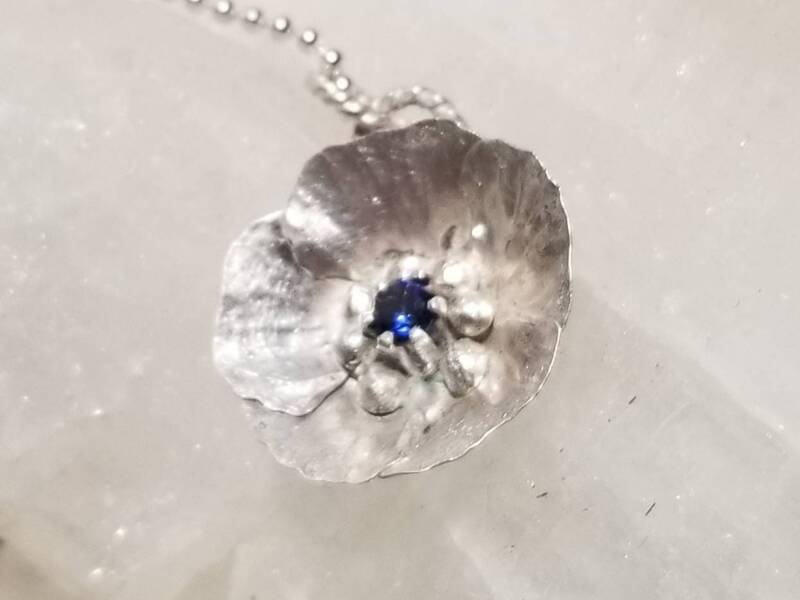 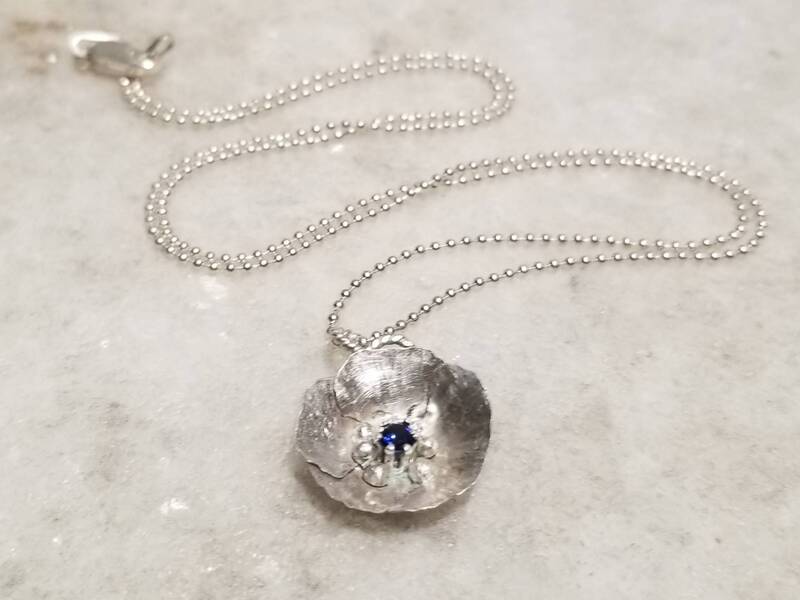 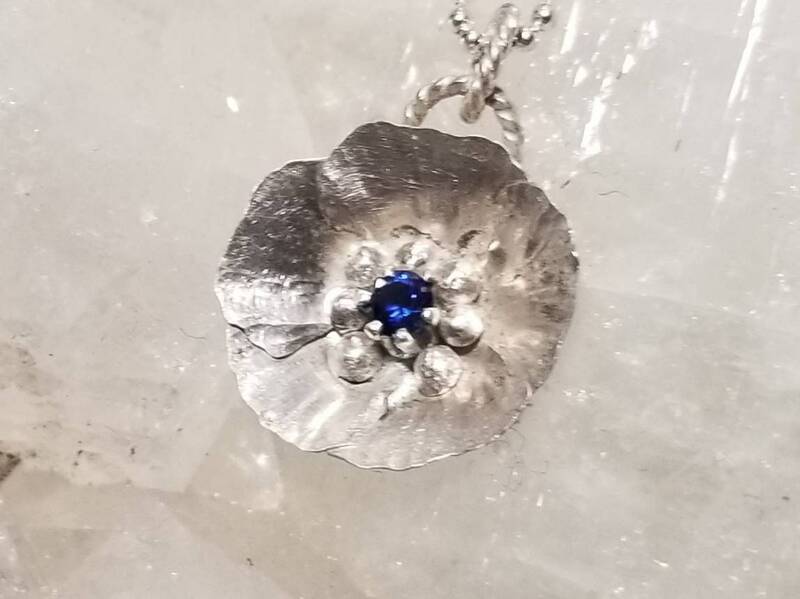 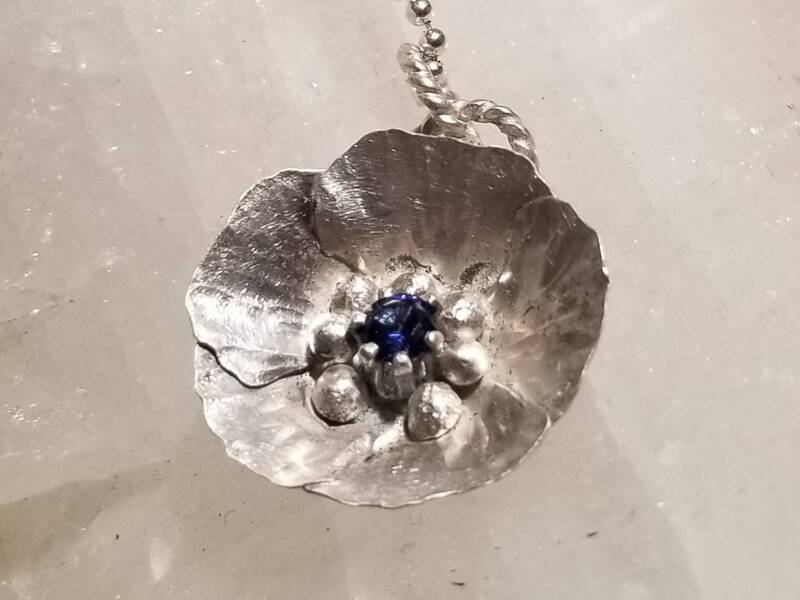 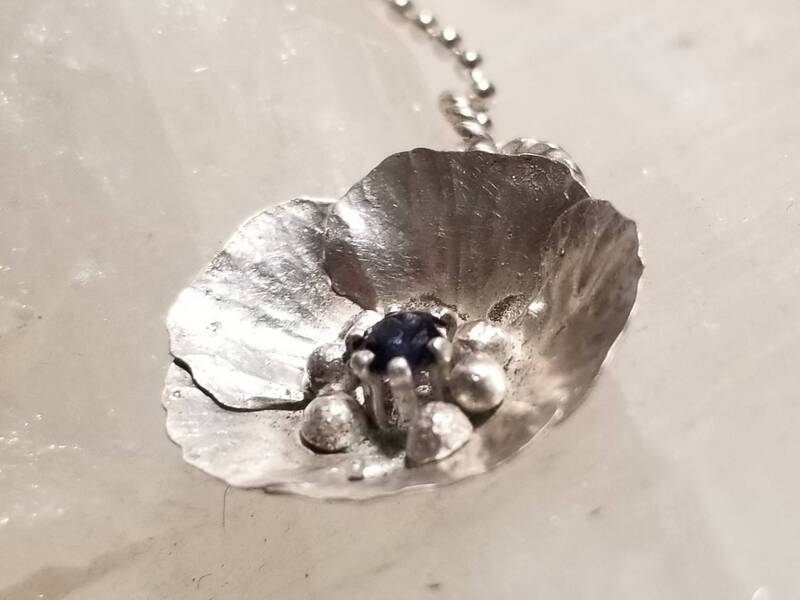 Hand sawed and fold formed, the sterling silver flower holds a beautiful 3mm lab cultivated blue saphire. 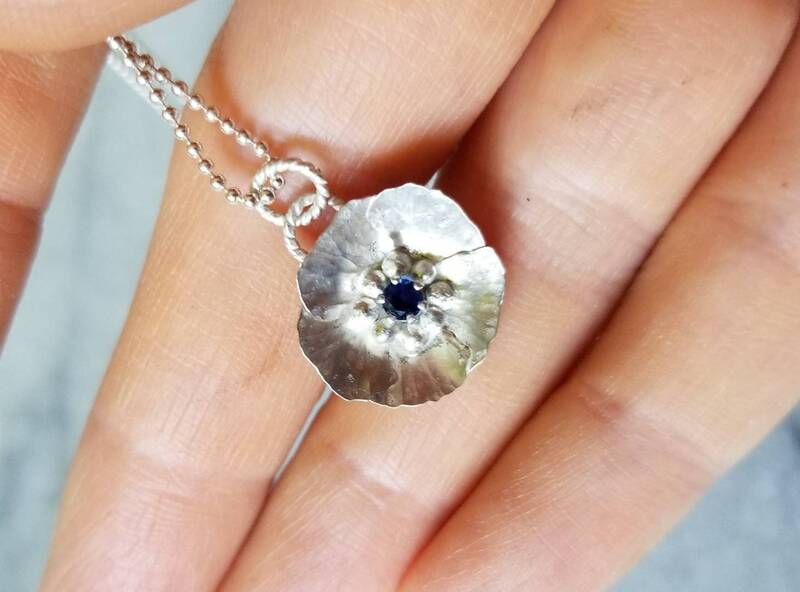 The flower is approximately 15mm by 16mm and the stone is prong set in the center. 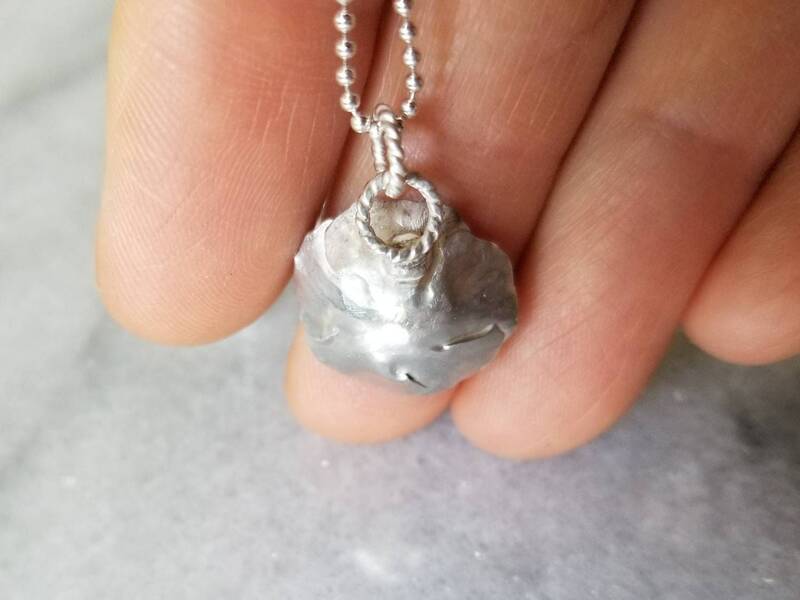 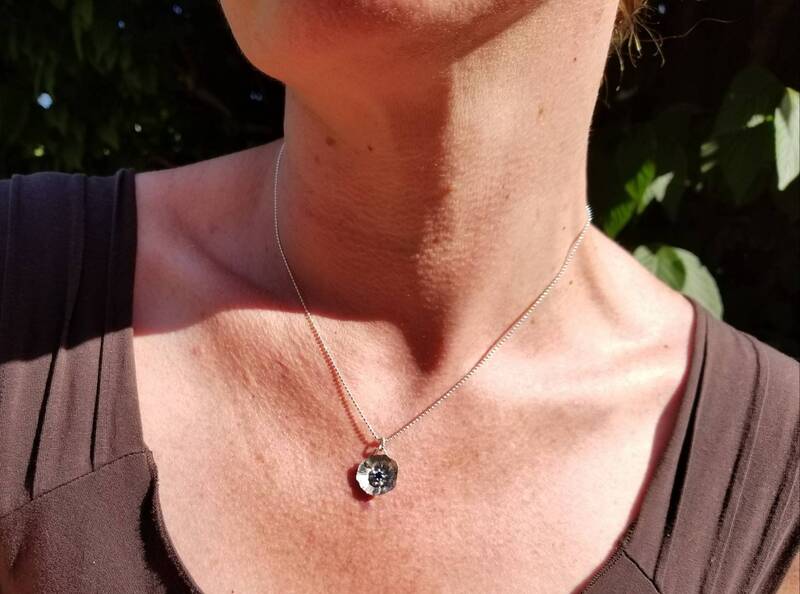 This pendant is one of a kind and comes with a 16 inch sterling silver ball chain with lobster clasp.